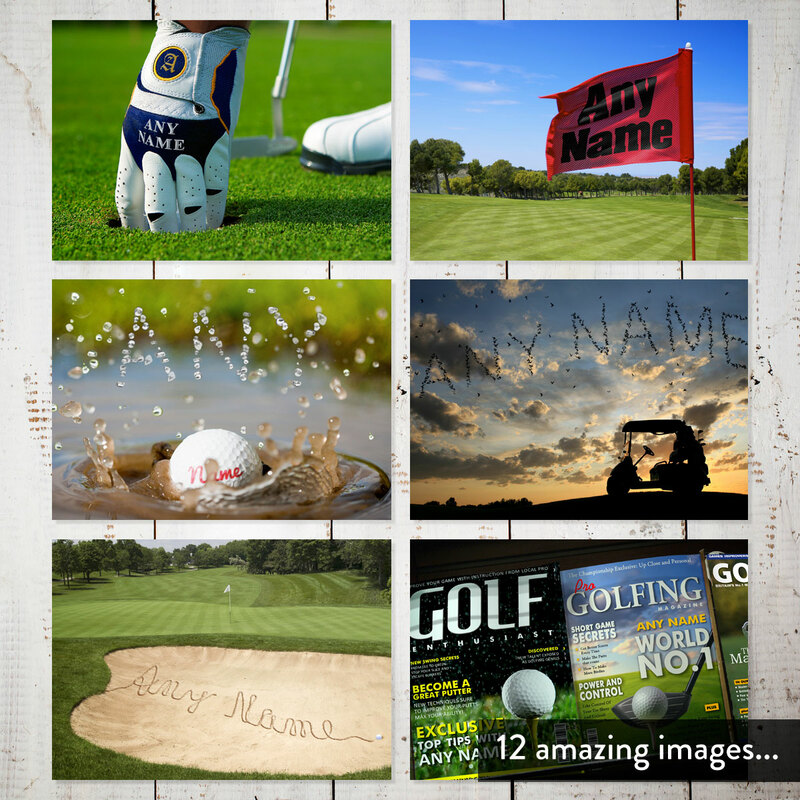 It's time to tee off! 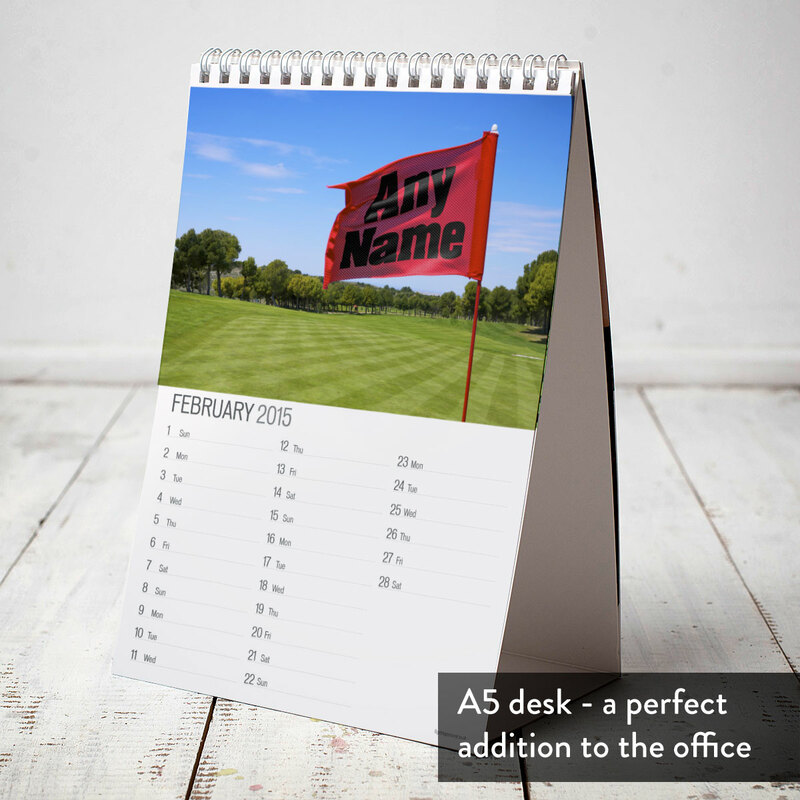 Simply give us any name we'll incorporate it into 13 amazing full-colour images. 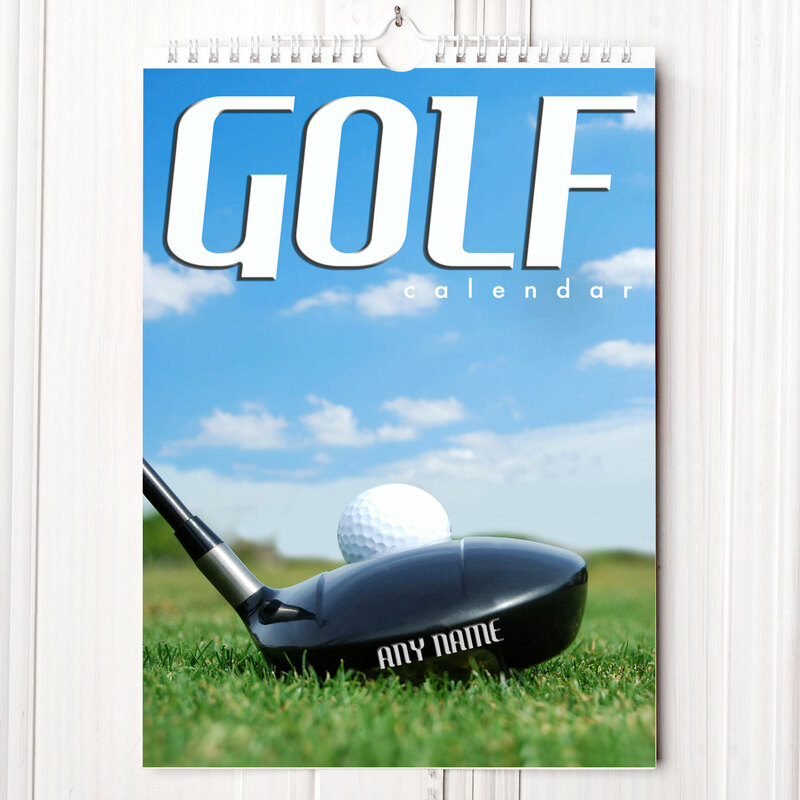 From having their name spelt out on their very own set of golf clubs to being carved into sand in a bunker, there's a fantastic golf-themed image for every month. 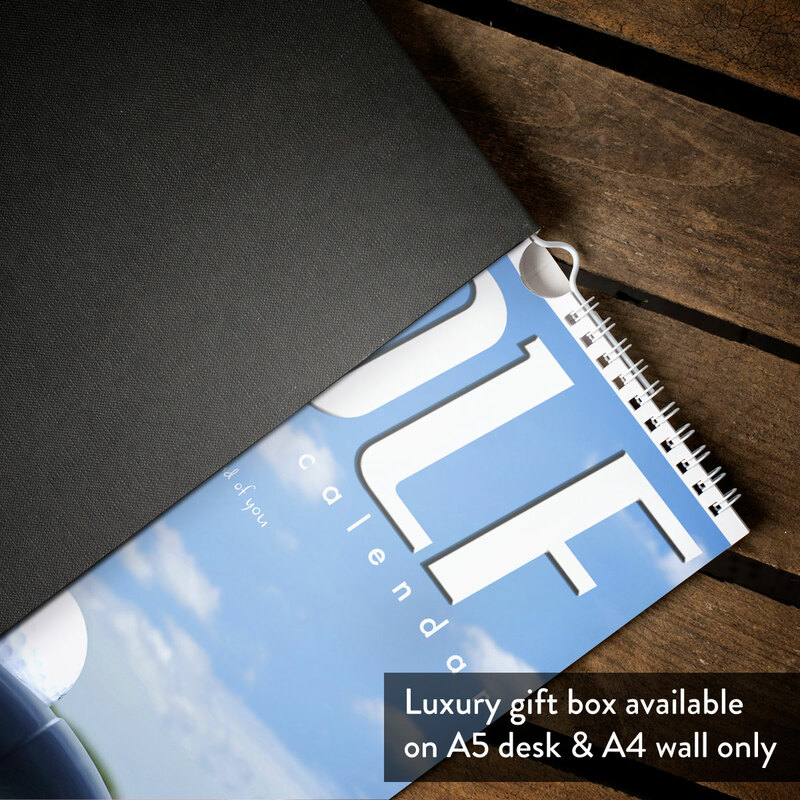 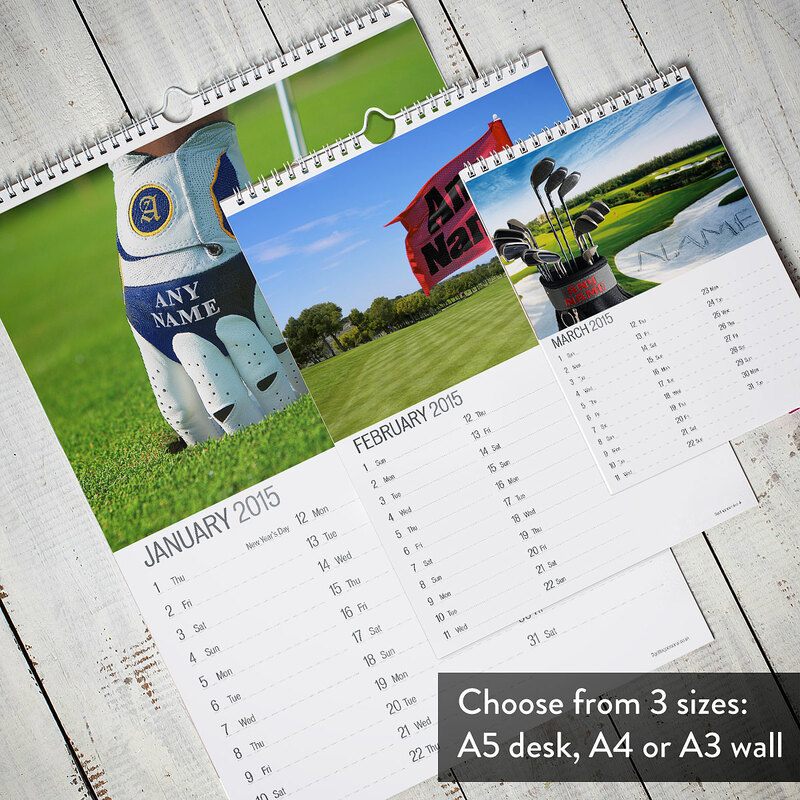 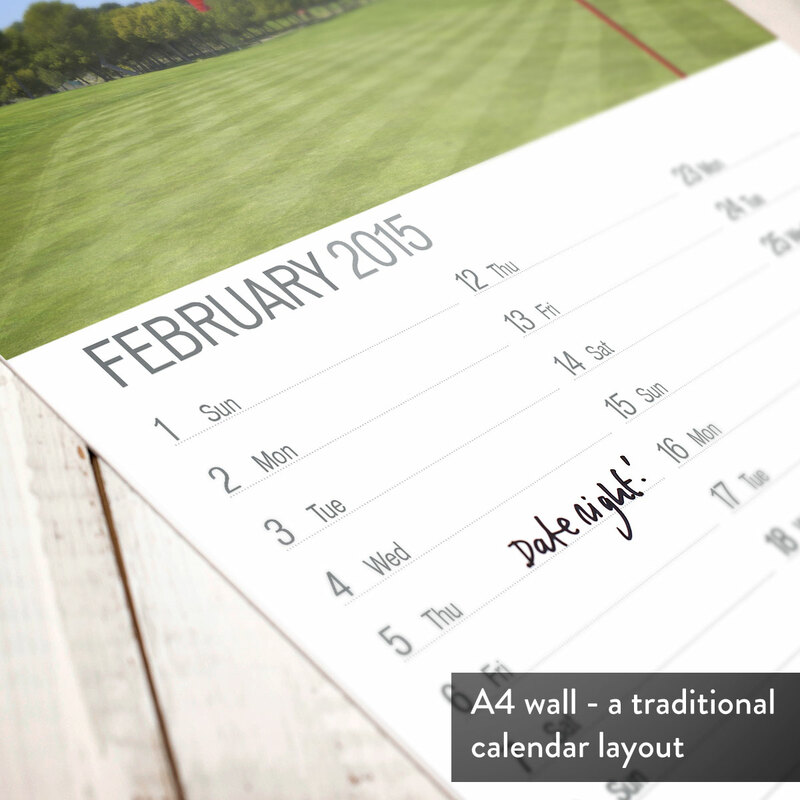 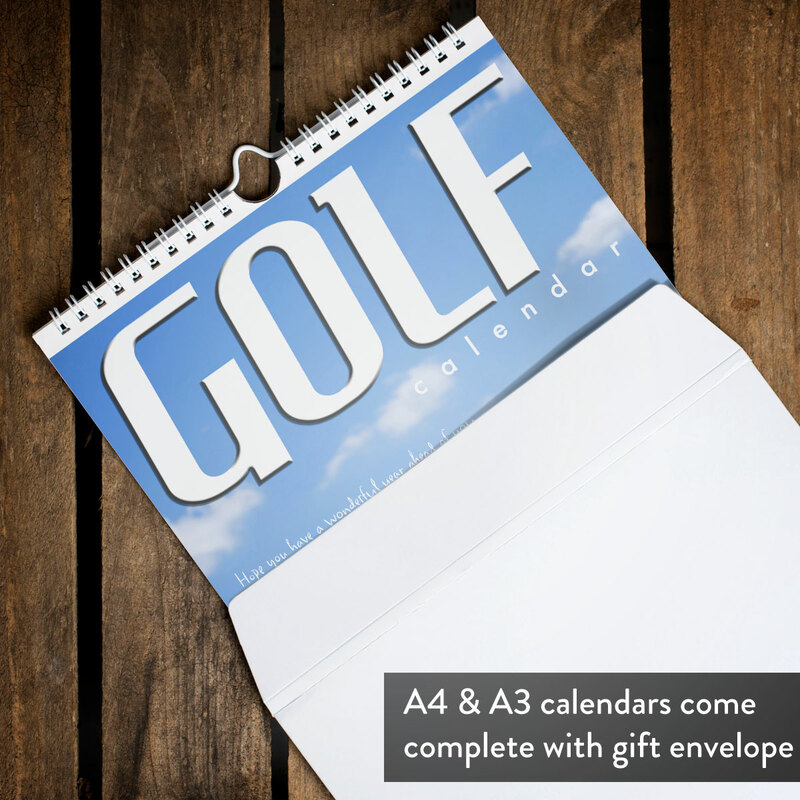 This calendar is available in a choice of sizes and it can start from any month you choose.